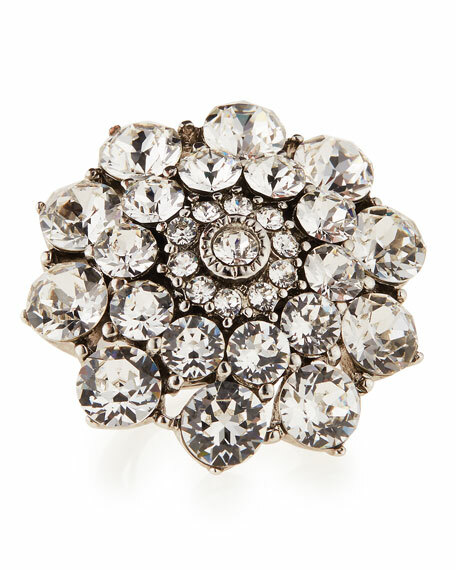 Oscar de la Renta crystal ring. Round face with glass crystals. Made in USA of Austrian material. For in-store inquiries, use sku #1593133.